If you are just starting out on your property investment journey you will either use a saved deposit or equity in your home to make your first investment. First time investors shouldn’t delay their wealth creation by waiting until they have a 20% deposit to get started – it’s common to borrow 90% and take out Lenders Mortgage Insurance (required if your deposit is less than 20%) to get into the market as quickly as possible. LMI is an acceptable and tax deductable method to get your portfolio started and growing. When your portfolio has generated sufficient equity you can start to buy properties with a larger deposit - without requiring LMI. Each lender has different assessment criteria and your approved amount could differ significantly between lenders so shop around to make sure you are maximising your borrowing capacity and getting the best interest rate structure. As you grow your portfolio, you will want to diversify your lenders. It can be tempting to stay with the one lender for simplicity but there is ultimately a limit as to what a single lender can offer. Using different lenders provides greater flexibility of products, reduces risk and provides more opportunity to further build your portfolio. The best way to make sure you’re getting the best deal every time is to engage the services of an experienced mortgage broker – one that specialises in investment property. A good broker will know which lenders are likely to be more flexible with their borrowing capacities and will offer a variety of products from different lenders. Developing a long term partnership with a broker is a key element of a successful investment strategy and rapid portfolio growth. Look for opportunities in the market that will deliver instant equity within six months of settlement. Instant equity might come in the form of a house and land package, renovating a well-located but older unit, or adding an extension, such as a granny flat. If a property can deliver at least $50,000 equity through one of these means you will be very well positioned to purchase again within 12 months. As a property’s value grows, the equity in the asset increases providing a source of funds to borrow against. ‘Unlocking’ this value allows investors to buy more property quickly without needing to save for a deposit. Maximising the equity in the property will increase your borrowing capacity and could even generate enough for you to invest in more than one property. Agents will often provide free valuations to give you an idea of the market price and can also offer advice on how to improve a property and which areas you should focus on. However, lenders will do their own valuations and investors should be prepared for these to come in under what they believe the market value to be. Keeping the property well maintained and making aesthetic improvements will ensure you achieve the highest valuation possible. 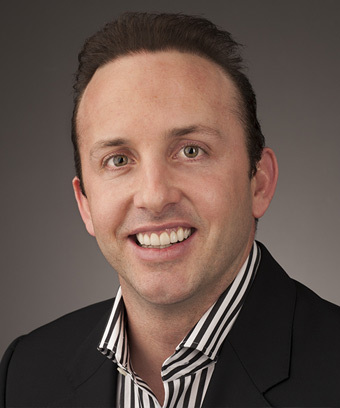 Ryan Crawford has been involved in the property investment industry for over 10 years, making the transition from successful investor to real estate professional. Ryan is a firm believer in the power of positive property as a wealth creation vehicle. In just eight years he had built a multi-million dollar portfolio and created a significant second income. A decade later, having refined his strategy for wealth creation, Ryan is now dedicated to sharing his wisdom and insight to help every day Australians achieve their financial goals.